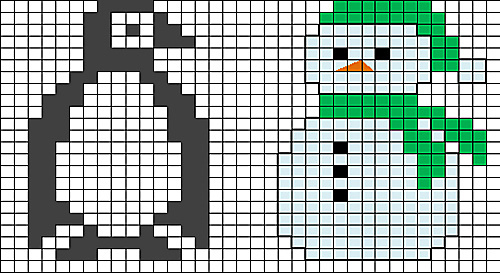 Note 09-01-15: Pattern update available, with penguin chart and stars/snowflakes over trees. 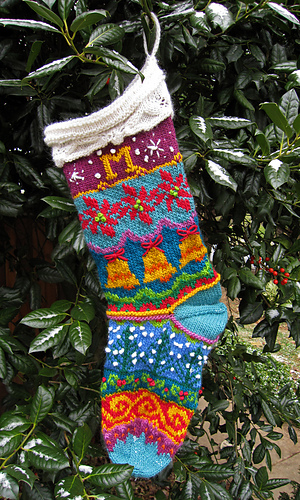 The pattern and charts here correspond to some Christmas stockings I’ve made and posted on my Ravelry page. 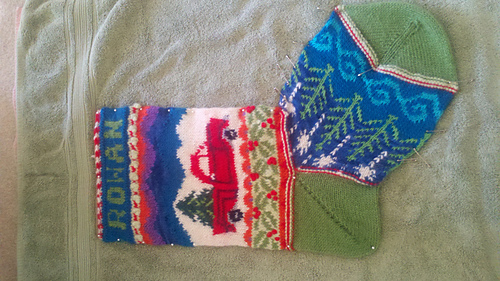 They are Patrick’s Stocking, Mom’s Stocking, Becky’s Stocking, Oscar’s Stocking and Apol’s Stocking. Edging patterns aren’t given and I cannot provide them. 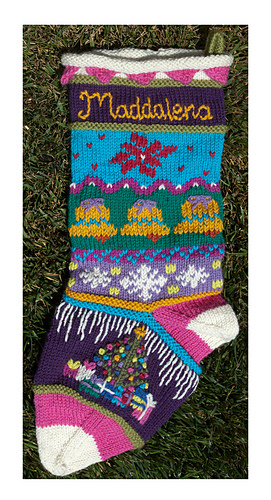 Please make creative use of a stitch dictionary or visit Nicky Epstein’s edging books, such as Over the Edge or On the Edge. 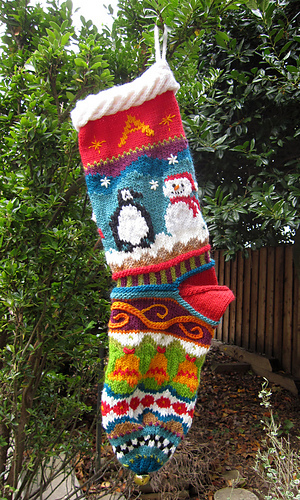 Some of the photos shown on this page (the last three) contain designs or charts not included in the pattern. 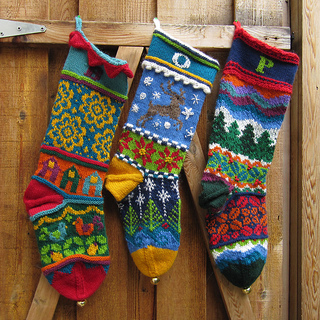 They are featured here to show how some knitters applied their own creativity to create unique stockings. 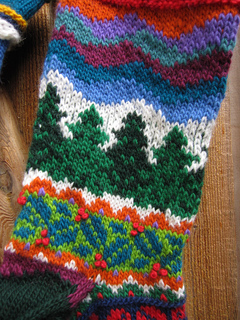 This is an untested pattern; I’m posting these charts and some basic instructions in hopes that knitters who enjoy colorwork will have some fun with them. 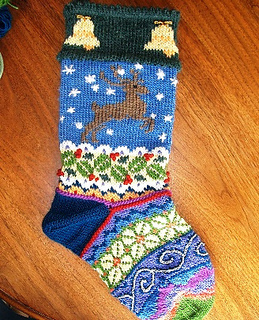 I recommend them to anyone who knows how to knit a sock and how to knit with two or more yarns at at time. 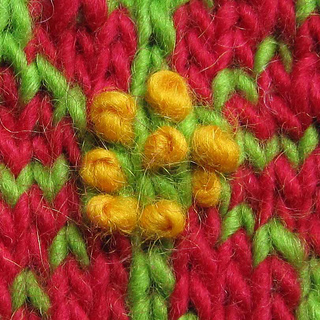 Please let me know if you have any difficulties with the pattern.